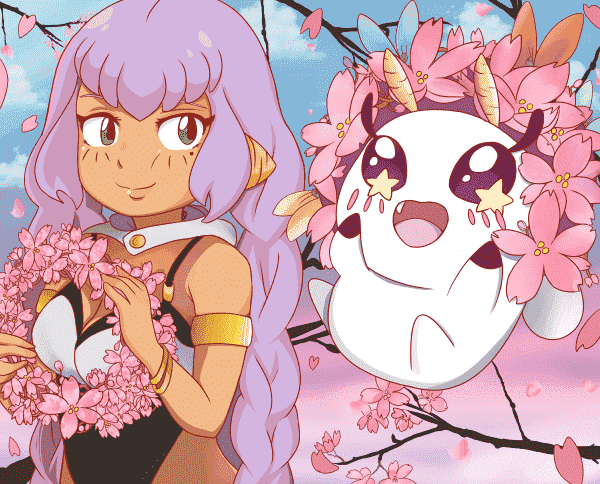 Everyone loves a good love story, but despite what your average romance anime relationship would lead you to believe, love isn't always easy. 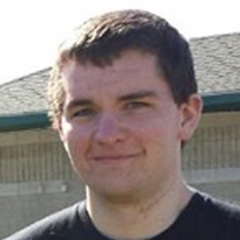 Often times, relationships are much more difficult and complex than those simple vanilla love stories. 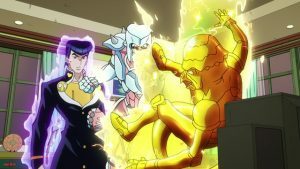 The anime that cover these more complicated relationships are few and far between, but when you see one, you know you're going to be in for a wild ride. With love triangles, reincarnated lovers, and death, we are going to countdown the top 10 complicated relationships in anime. The relationship between Ritsu Kawai and Kazunari Usa is a great place for us to start off this list. While it is the closest thing to a regular relationship on this list, they aren’t without their own set of complications. 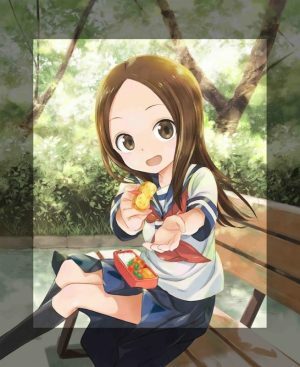 Ritsu is a girl who is absorbed in the world of books, never stopping to enjoy the real world or forming major interpersonal relationships. 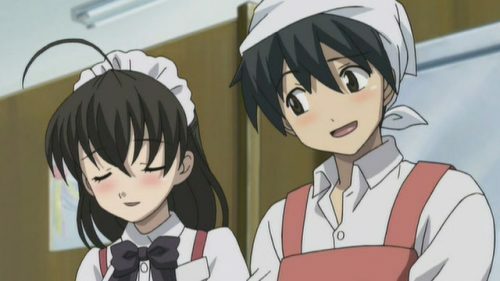 When Usa moves into the boarding house that is owned by Ritsu's mother, he is drawn to her, but he is pushed away by her natural shyness and reticence. Usa eventually uses books to bond with her and became Ritsu's first genuine friend. 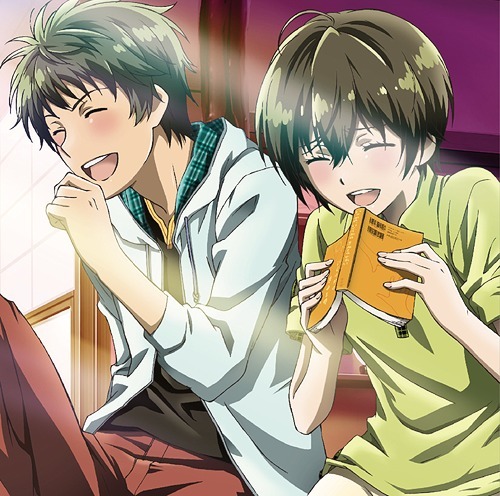 While this couple may seem like a typical anime romance due to the amount of comedy present in the show, Ritsu's natural tendencies to push people away are just enough to give Bokura wa Minna Kawaisou the number 10 spot on this list. 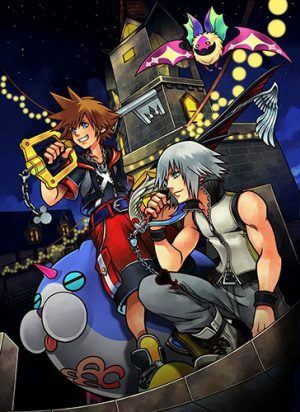 The complications in this relationship have more to do with the characters themselves than from other outside influences like some of the other entries on this list. 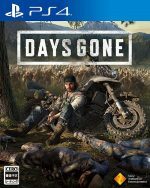 The complications arise when the characters struggle with their own insecurities that almost derail their relationship. 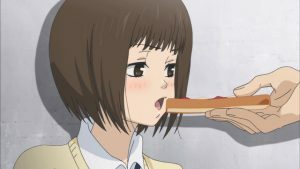 While Ritsu's struggles are more prominent throughout the story, Usa is shown to be dealing with his own problems, giving us a complicated relationship hidden behind a comedic slice-of-life story. 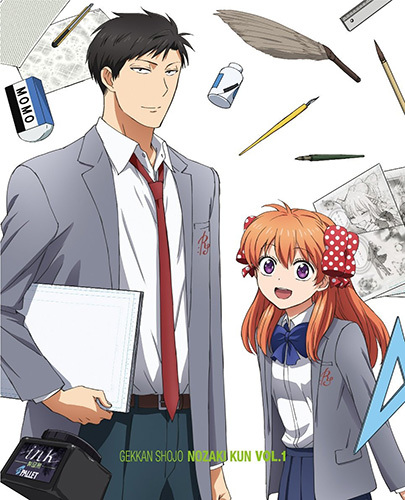 At first glance, Chiyo and Nozaki's relationship may not seem that complicated, but due to Nozaki being oblivious and Chiyo’s inability to confess her feelings, they end up in a complicated and frustrating, cycle of missed opportunities. After Chiyo's first failed confession, where Nozaki mistook her for a fan of his manga, Chiyo has been working as Nozaki's assistant. No matter how many times she tries to confess, she can never find the right words, causing many misunderstandings. 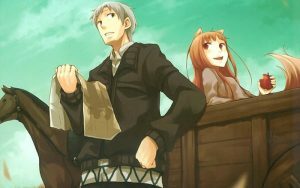 The longer Chiyo goes without being able to tell Nozaki how she truly feels, the harder it is for her to confess to him. 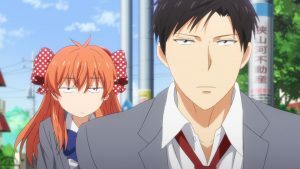 While Chiyo's inability to confess her feelings is a problem, Nozaki's cluelessness is another major problem for their relationship. 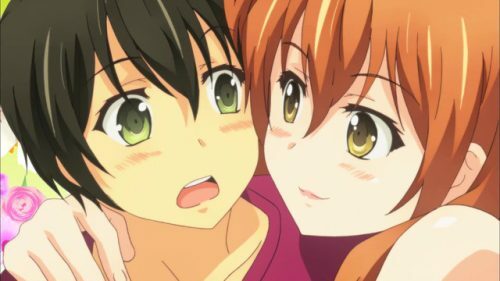 With Nozaki having no interest in romance, he often unintentionally leads Chiyo on by practising different romantic scenarios for his manga on her. No matter how obvious Chiyo is with her infatuation with Nozaki, he never seems to pick up on it. With their relationship never seeming to get passed friendship, it can be frustrating watching all the missed opportunities slip by them. The complications with Chiyo and Nozaki's relationship are mostly self-inflicted setting it apart from some of the other relationships on this list. The relationship between Yukari Nejima and Misaki Takasaki deviates from the average romance anime formula in a small way, but in a way that still manages to create some big complications. In the world of Koi to Use, the Japanese government arranges marriages for everybody once they turn 16. Yukari is already in love with Misaki Takasaki when Ririna Sanada is assigned as his marriage partner. Ririna finds about Yukari's crush on Misaki and helps him confess his feelings to her. 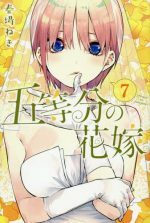 Misaki turns out to also be in love with Yukari but she is hesitant to pursue a relationship with him due to the governments arranged marriage law. Ririna ends up befriending Misaki while helping Yukari attempt to win Misaki over. Eventually, Yukari and Misaki start dating and everything seems to be going well for them, but things get complicated when Yukari and Ririna develop feelings for each other. 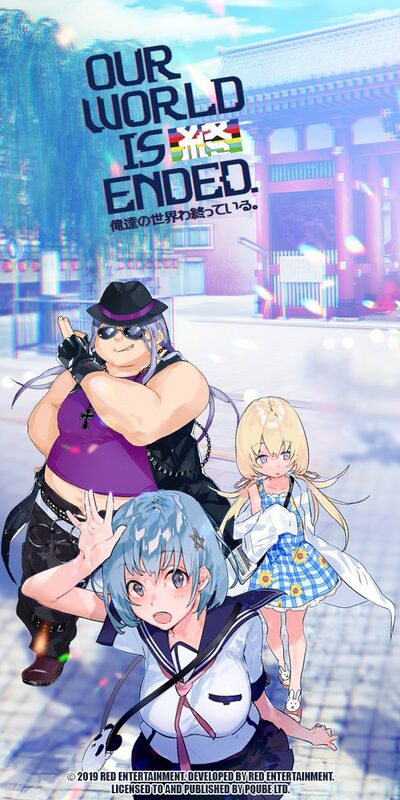 Yukari struggles with deciding which girl he wants to be with, but Yukari and Ririna decide to put their feelings to the side so that Misaki can be happy. 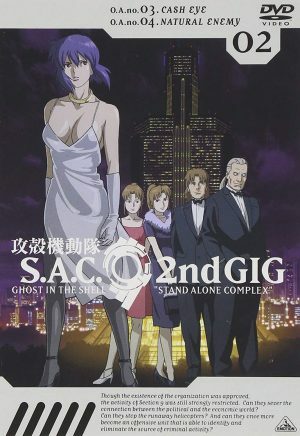 While this complicated relationship shares some similarities with the two previous entries on the list, Yukari and Misaki's relationship stands out with the first case of a major outside influence complicating the relationship and the first entry to feature a love triangle. While the relationship between Masamune Makabe and Aki Adagaki eventually becomes a simple romance, getting to that point was far from easy. After being overweight as a child, Masamune spent years of his life losing weight and making himself as desirable as possible, all to get Aki Adagaki to fall in love with him. 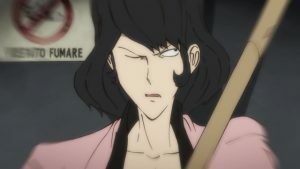 Masamune’s desire for revenge stems from the time he confessed to Aki Adagaki and she called him Piggy due to his size. Masamune eventually gains Aki’s trust and learns things about her that she doesn't let other people know about her, like her insatiable hunger. Masamune never takes their potential romance seriously because of his nefarious intentions, but he also struggles with being able to fully commit to getting his revenge. With Aki's maid Yoshino Koiwai assisting with Masamune's plan, Masamune is given more chances to get closer to Aki then he ever thought possible. 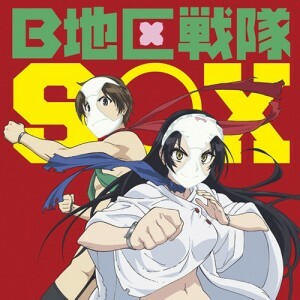 Even after they start to develop true feelings for one another, the relationship between Aki and Masamune is also tested when Neko Fujinomiya and Kanetsugu Gaso are introduced as other love interests. It is later revealed that Aki never gave Masamune the name Piggy but it was, in fact, Yoshino pretending to be Aki. After the reveal, Masamune and Aki eventually start a real relationship. There are so many things that make this relationship complicated, that there may be an argument to put it higher on this list. However, some of the things that make it complicated can come off as being very contrived, making this relationship less enjoyable to watch as some of the other shows on this list. 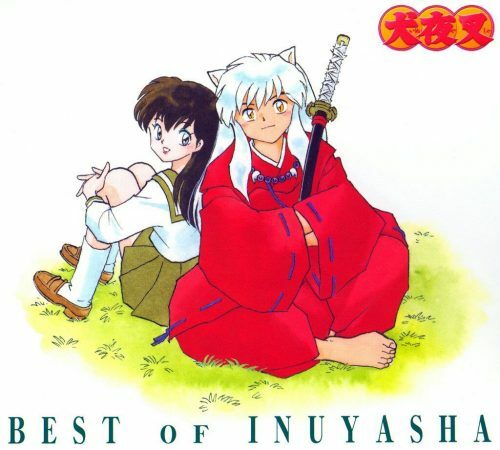 Kagome and Inuyasha's relationship got off to a rough start due to Kagome looking like Inuyasha's first love Kikyo. At first, Kagome and Inuyasha do nothing but argue, but after being forced into collecting the jewel shards together, they eventually grow to not only tolerate each other but to love each other. 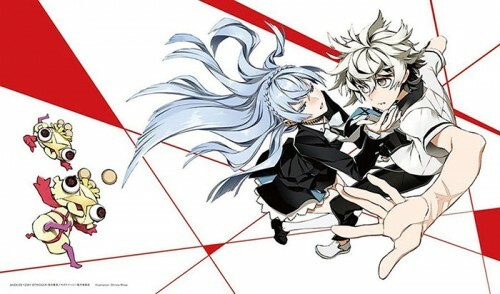 Even after overcoming their initial disdain for one another, a multitude of complications arose that held their relationship back for a majority of the series. Inuyasha struggles with the fact that Kagome is the reincarnated version of his first love Kikyo. Inuyasha is not able to fully love Kagome due to Inuyasha still harboring feelings for Kikyo. While Kagome was initially upset when being compared to Kikyo, after Kikyo shows up again, Kagome becomes incredibly jealous of the relationship between Inuyasha and Kikyo. Inuyasha will become solely focused on Kikyo whenever she pops up during their journey leaving Kagome behind to pursue Kikyo. Their relationship is also tested with the introduction of Koga, another love interest for Kagome. Their relationship manages to survive the love triangles, arguments, and the 500 years separated that Kagome and Inuyasha. The relationship between Noriko Sonozaki and Katsuhiro Agata is quite different from the other entries on this list. As children, Katsuhiro and Noriko were very close, so close that Noriko actually loved Katsuhiro. However, due to the Kizna experiments that Katsuhiro and Noriko took part in, Katsuhiro lost his ability to feel both emotion and pain, while Noriko had gained the ability to feel the pain of 19 other children including Katsuhiro. Noriko is forced to take a drug to repress the pain she feels from the other children resulting in her also losing her emotions. Although Katsuhiro lost his memory of the incidents, Noriko starts another Kizna experiment and uses Katsuhiro and other kids at his school. Throughout the story, we see Katsuhiro regain not only his memories, but he also starts to get his emotions back ultimately culminating in him falling in love with Noriko. Noriko, on the other hand, gets very little emotion back before the end of the series. While Katsuhiro is figuring out his feelings for Noriko, he also has to deal with feelings his childhood friend, Chidori, has for him. 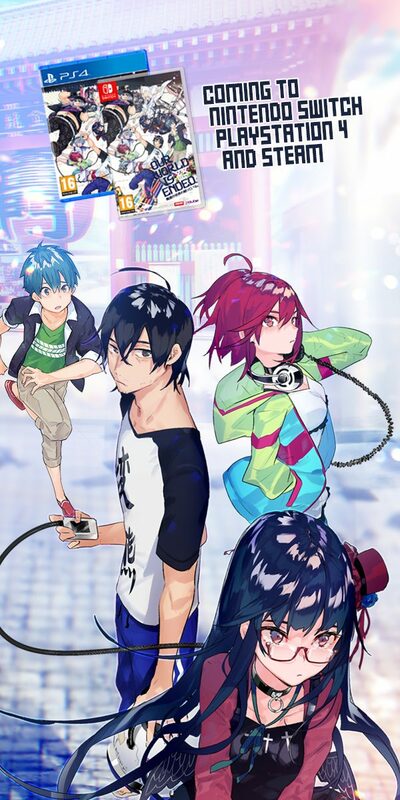 Chidori often gets jealous of Noriko and Katsuhiro, which causes problems due to the fact that she is also part of the ongoing experiment and has her emotions connected to everybody else. The complicated relationship between Katsuhiro and Noriko is another entry that could be potentially higher on this list, their relationship isn't nearly filed with as many dark and tragic complications that the upcoming relationships have. The relationship between Miyokichi and Kikuhiko began while Miyokichi was working as a geisha. When Miyokichi first met Kikuhiko, his cold and distant personality combined with his disinterest in Miyokichi caused her to take a great interest in Kikuhiko. 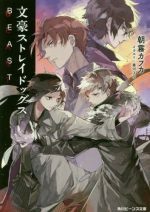 Miyokichi and Kikuhiko stat an on-again-off-again relationship that ends after a misunderstanding where Miyokichi and Kikuhiku's best friend Sukeroku are seen hugging. Kikuhiko decides to seriously pursue rakugo which angers Miyokichi greatly and pushes her to become suicidal. Miyokichi gets together with Sukeroku to get back at Kikuhiko. 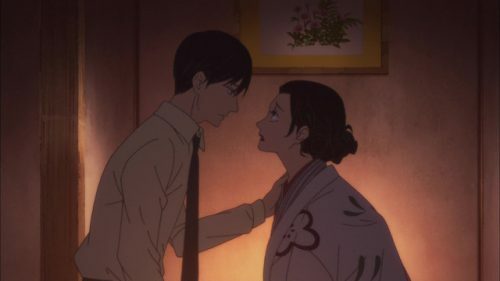 Sukeroku and Miyoshi end up having a daughter together and when Sukeroku is kicked out of the world of rakugo, Sukeroku and Miyoshi run off to the countryside. Five years later, Kikuhiko has a chance meeting with Sukeroku and learns that Miyokichi has turned to prostitution. Miyokichi shows up at Kikuhiko's hotel room to convince him to get back together with her, but he declines. Miyokichi threatens to commit suicide on the balcony, but Kikuhiko is able to talk her out of it. Miyokichi ends up falling off the balcony with Sukeroku, with Kikuhiko not being able to pull them both up, and Miyokichi and Sukeroku fall to their deaths. By far the most tragic relationship on this list, Kikuhiko and Miyokichi's relationship is a complicated mess caused by jealousy and the desire to have things that you can no longer have. Compared to the other tragically complicated relations on this list, you can feel sympathy for the Kikuhiko and Miyokichi due to the complications in their relationship being entirely self-inflicted. Tada Banri's relationship with Kaga Koko started out as unrequited love. Ever since his first meeting with Koko, where he found out she had an unrequited love for his new friend Mitsuo Yanagisawa, Banri was attracted to Koko. They eventually start hanging out more and more, while Banri believes they are getting closer to a romantic relationship, Koko only sees Banri as her friend. After Mitsuo makes it clear that he will never reciprocate Koko's feelings, Koko starts getting even closer to Banri and they start dating. If those were all the problems facing their relationship, it wouldn't be nearly complicated to be number 3 on this list, but after they start dating, Banri's past comes to complicate things even more. After Banri Graduated highschool, he fell off a bridge leaving him hospitalized and suffering from amnesia. Before the accident, Banri had been in love with Linda and was waiting on the bridge waiting for Linda to give him an answer to his confession. 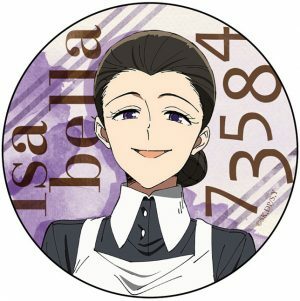 Linda is currently a year ahead of Banri and attending the same college. At points in the story, Banri's spirit shows up and causes many problems for Banri. 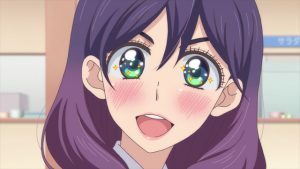 With Banri's spirit seeming to possess the memories of Banri's past, the spirit often attempts to force Banri into dating Linda and leaving Koko. Banri’s spirit is also the cause for Banri losing his memories for a second time, but this time forgetting about Koko and everything they have done together, causing Koko and Banri to break up for awhile. With not two additional love interests getting in the way of Banri and Koko, and also the battle going on inside Banri, this relationship is one of the most complicated you will see in an anime. The relationship between Hanabi Yasuraoka and Mugi Awaya is just as tragic as it is complicated. Hanabi and Mugi are brought together by one mutual problem, they are both in love with people they can't be with. 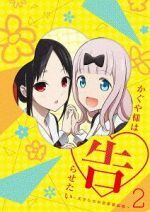 Hanabi has feelings for Narumi Kanai, her childhood friend who is now her teacher. Mugi has feelings for Akane Minagawa his former tutor who is the music teacher at The high school. After meeting each other, they use one another as proxies of their unrequited lovers, entering into an intimate relationship even though they do not have feelings for one another. Their relationship gets even more complicated with both Hanabi and Mugi having a person who loves them, but they don't have feelings for. With Sanae Ebato having a crush on Hanabi and Noriko Kamomebata having a crush on Mugi. Hanabi and Mugi use Sanae and Noriko respectively to further explore their intimate desires but never having feelings for them. With Hanabi and Mugi being in the middle of this chain of despair, they manage to not only use each other but also use and hurt people who cared for them, all to try to fill a void left in their broken hearts. While at times, their events surrounding their relationship can feel contrived, with the show even going so far as to add an unrequited love interest for Sanae, it still doesn't take away from the main relationship between Hanabi and Mugi. Despite how far the complications in this relationship go, one of the more relatable relationships on the list. 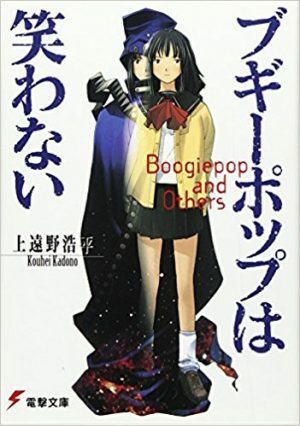 While we could have taken any one of the many relationships form this notorious anime, the relationship between Makoto Itou and Sekai Saionji is easily the most interesting and complicated due to Sekai's involvement in Makoto's love life ultimately serving as the catalyst for the major moments in the series. Sekai starts out the series by helping Makoto get closer to his crush Kotonoha Katsura. However, after Makoto starts dating Kotonoha, Sekai gets jealous due to her crush on Makoto. Sekai eventually lets Makoto practice anything he wants to on her, leading to them sleeping together. Makoto is not only balancing his relationship with Kotonoha and Sekai, but also many other girls. Sekai ends up convincing Makoto to date her instead of Kotonoha, but she knowingly allows him to sleep with all of the other girls. Sekai ends up believing she is pregnant, to which Makoto responds to by telling her to get an abortion. When Sekai refuses, Makoto dumps her and Sekai goes around telling everyone at school, scaring the other girls away from him. Despite Sekai's feelings, Makoto gets back together with Kotonoha, even going as far as to kiss Kotonoha in front of Sekai. After Sekai convinces Makoto to get together to talk about the baby, Makoto crosses the line one final time by throwing away the dinner Sekai had worked hard on and not backing down from his desire for Sekai to have an abortion. This, along with Makoto having no remorse for cheating on Sekai, leads to Makoto's death at the hands of Sekai, and then the death of Sekai at the hands of Kotonoha. By far the darkest entry on this list, the complicated nature of not only Makoto's relationship with Sekai but his relationship with every girl in the show, is by far the most complicated set of relationships ever seen. 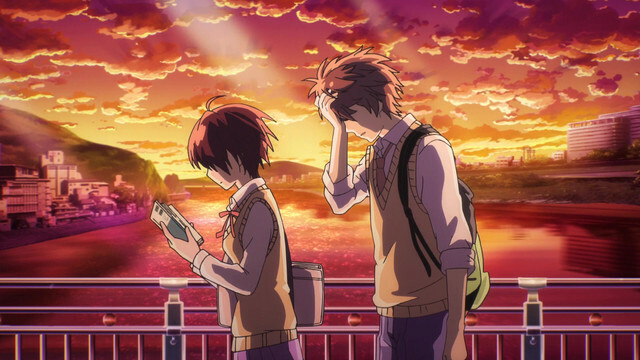 Complicated relationships in anime come in many different forms, covering some more serious topics like murder and suicide, to some more heart-warming relationships. While some of these relationships might not be for everyone, they are definitely worth checking out for yourself. What did you think of the list? Which anime do you think should be number one? Are there any complicated relationships you think we missed? Let us know in the comments below.